NFPA 31 Installation of Oil Burning Equipment 2011NFPA 31 is a standard for the safe, efficient design and installation of heating appliances that use a liquid fuel, typically No. 2 heating oil, but also lighter fuels, such as kerosene and diesel fuel, and heavier fuels, such as No. 4 fuel oil. 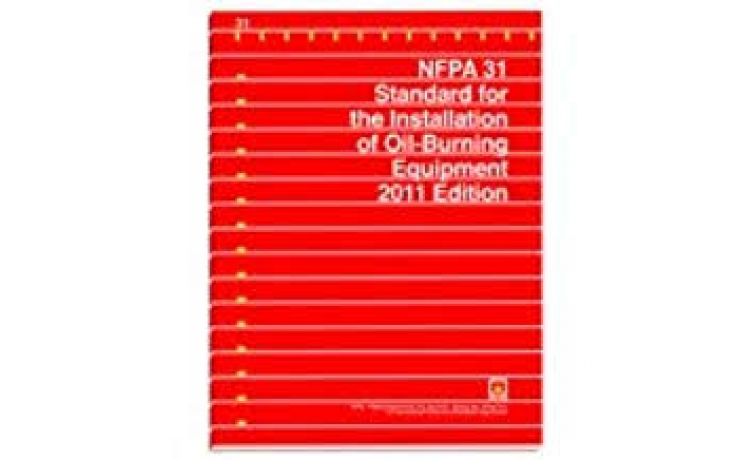 NFPA 31 applies to the installation of these systems in residential, commercial, and industrial occupancies.